There is nothing more important that the health and well-being of your family. Many of us here in the UAE don’t realize this, but products we use such as perfumes, air fresheners, cleaning chemicals, and many more produce a lot of airborne contaminants that can cause allergies and respiratory issues. While they might seem insignificant at the time, these pollutants can be quite can have an adverse effect on us over a prolonged period of exposure. In comes LG’s latest Air Purifier. One of the key features of the LG Signature Air Purifier is that it is equipped with an innovative semi-permanent PM 1.0 Black Filter System. This means that the filter can capture the smallest particles with an aerodynamic diameter of less than 1.0 and 0.1 micrometer. This ensures the air in your indoor environment will have the highest and most purest quality. Quality which your body deserves. One of the biggest issues you face with an air purifier is the continued expense of its filters. With LG’s Signature air purifiers, users have the ability to remove the filter, wash it and use it again for up to 10 years. It not only improves the quality of the air in any home, but also saves you countless trips to the hardware store. When most people buy Air Purifiers there is quite a bit of skepticism about how and if it works. With the LG Signature Air Purifier though, it features a smart indicator that visually alerts you about how the air quality is. Red means that there are airborne contaminants whereas Green and Blue indicate that the indoor air quality is of the best quality. 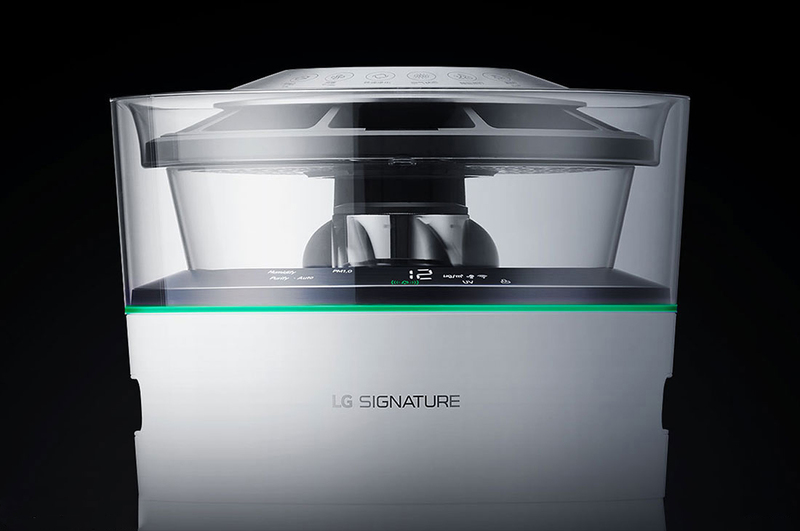 One of the most unique and integral parts of the air purification system is the LG watering system. 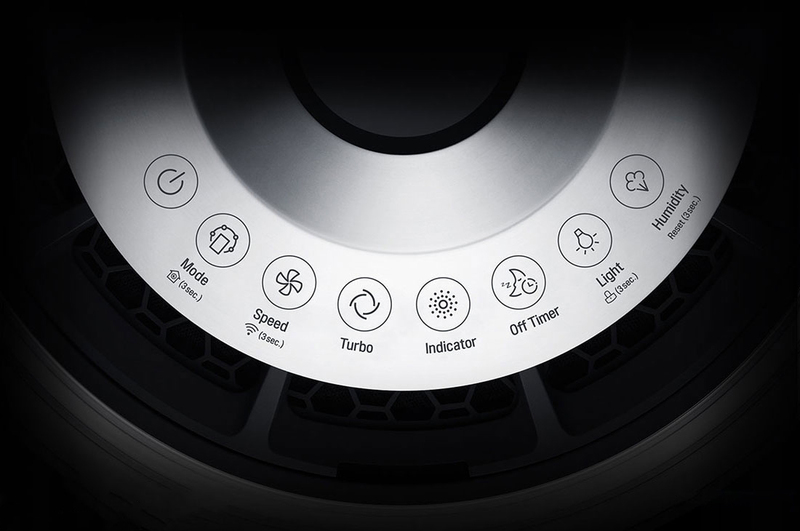 The watering engine rotates at high speeds powerfully ejecting 18 litres of water in an hour to wash inhaled air which was already purified by the filter system. This additionally helps to create the most pleasant humidity levels to enhance the overall comfort and decadence of any environment. It also comes equipped with a rain view window where one can actually see the air purification process through the watering system. 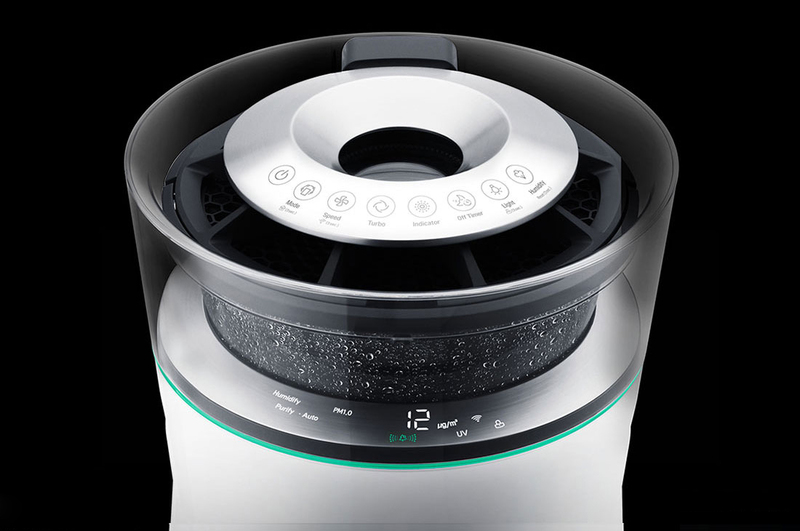 Air purifiers are quickly becoming a staple in people’s home. We are slowly beginning to understand the importance of the quality of air – something that we have taken for granted in the past. 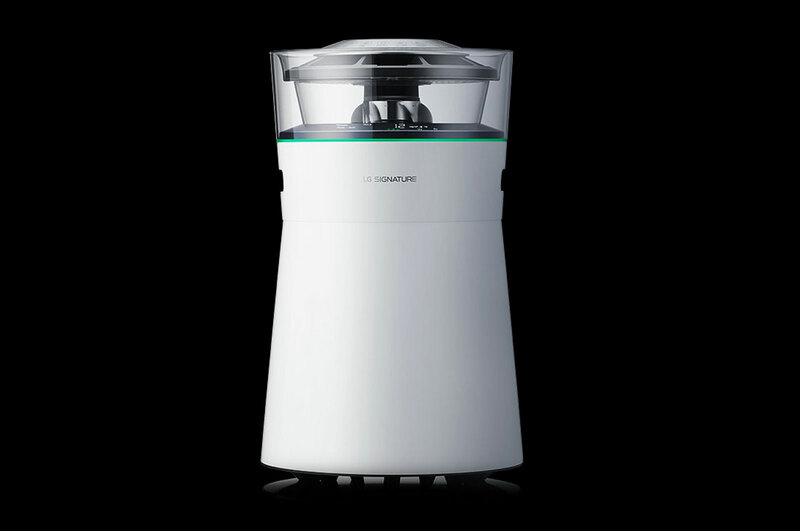 Given this, the LG Signature Air Purifier is the one to get. It addresses all issues from eliminating the smallest particles to establishing the right humidity levels and more. Taking a proactive step by investing in a quality product like the LG Signature Air Purifier to protect any space – be it home or office or recreational areas - will facilitate the longevity of this environment and protect every individual that has the opportunity to experience. 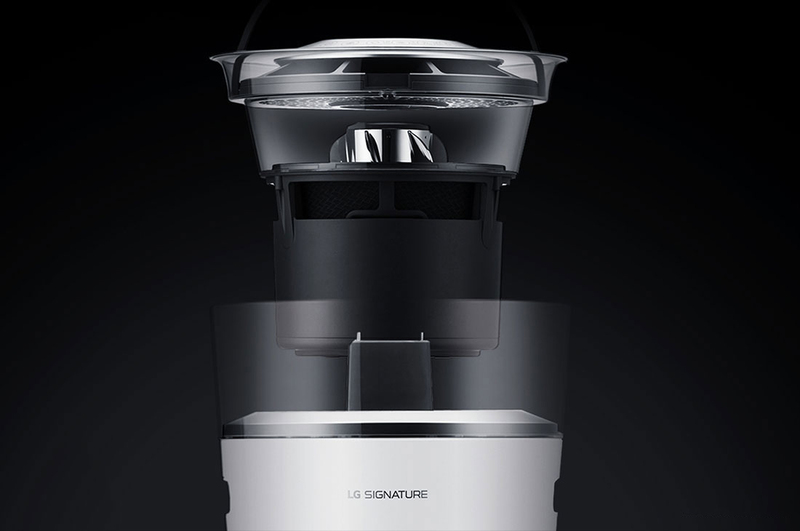 To find out more about the new LG Signature Air Purifier and LG Signature products, please visit https://www.lg.com/ae/lg-signature.